The integrity of a lock is paramount to the security it offers and, in turn, its usefulness. A lock that’s been tampered with, is weather worn, or has simply seen better days, is less likely to offer the level of security you need than a brand new or well-maintained lock. There is any number of reasons you might need to replace a lock. As well as those noted above, other motivations include moving into a new home, tenants leaving a property you own, or separating from a partner. Whatever your reason for needing new locks, Toronto’s Certified Locksmiths can help you. We provide residential, commercial, and automotive services that include both lock replacement and repair. Our fully-trained locksmiths use only the best quality and most secure locks, including all major brands. This means you’re getting the best lock for your buck. As well as replacing existing locks, our locksmiths can also install brand new deadbolts, bolts, mortises, and many other types of lock. After a quick evaluation, they will be able to tell you what best suits your needs as well as the components you already have in place. In some cases it is not necessary to completely replace a lock. It may be possible to rekey the lock so that it no longer works with the old key, instead opening and closing with a new key altogether. Our lock replacement and installation service is available to Toronto residents and those in the surrounding region 24-hours a day. This is ideal for those wanting to replace locks immediately following a nighttime burglary, as well as those working unusual shift patterns. Should you require a replacement lock, simply call our 24-hour hotline. You’ll be greeted by our friendly customer services team who will take your details and send a locksmith straight to you. 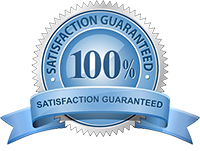 Once with you, our professional locksmiths will have your lock replaced in no time.